I've been asked several times what the differences are between the C3 Pro Women and the C3 Women. So here's a little summary of features that Pro offers over the C3. You can read my review of the Pro here. Size XXS-L (Same for both helmets, and all one shell size- XL and up is the large shell)I found out of all 4 models that they offer (C3, C3W, C3Pro C3ProW), this one was the only one that fit right. So if you’ve only tried the others, I strongly suggest you try this one too! Antenna integrated into the shell for enhanced performance of the SRC system. Note: the SRC system in the C3/C3W will fit into the C3Pro/C3ProW and will fuction as normal without plugging into the helmet’s antenna. The C3Pro(W) system will not work without the antenna and so will not function in the C3(W). So if you’re trying to make a decision as to whether you should go with the Pro, it’s definitely going to be a matter of fitment. Since the C3W is offered down to a XXS and has the extra padding, that will be extra beneficial to those of you who have trouble finding helmets that fit small enough. It’s one of the smallest fitting helmets I’ve ever seen (aside from Shoei and Arai’s XXS). I also think you’ll notice these differences if you ride something sporty or naked, or have a very small windscreen. Anything my helmet can offer in terms of noise and stability at high speed is always a bonus for me. Save $100 on a C3 or C3W, until June 30th. The sale excludes matte black and is limited to items in stock at your local dealer or at Schuberth. You can also save $100 on an SRC system (reg. 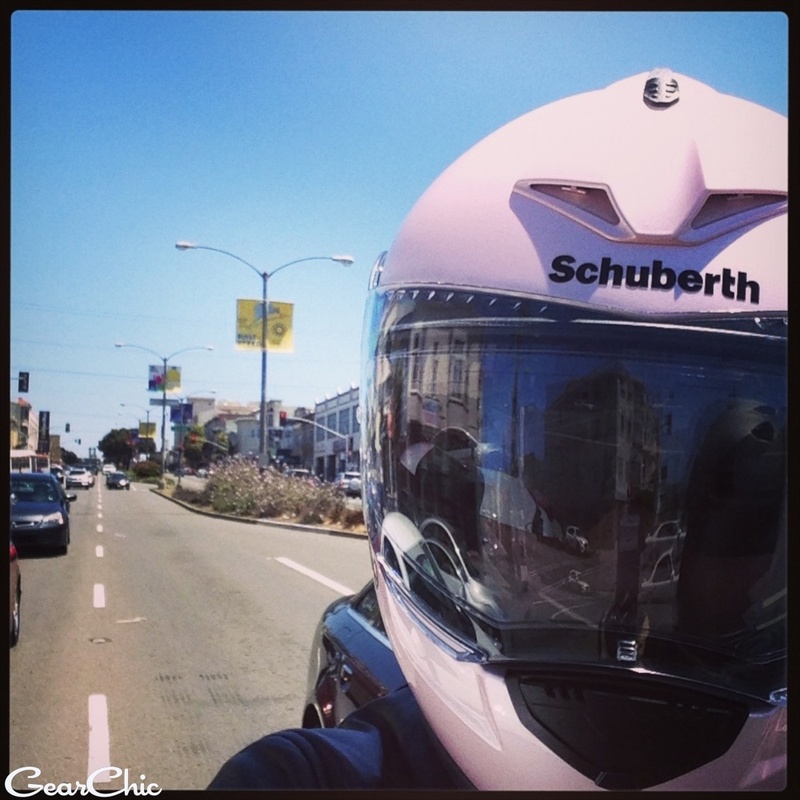 $429) when you purchase any Schuberth S2 full face helmet. If you have an S2, you neeeeeed the SRC! After riding the twisties near Alice's, the freeways of the Bay, the crazy streets of San Francisco and the Lost Coast of CA, my review is posted. I'm also going to post a review of their integrated SRC system in the next couple of days, so stay tuned for that as well. And stay tuned for an exciting announcement from Schuberth, where a sale *might* be posted this weekend!